The excessive use of mobile phones and other electronic gadgets is causing presbyopia at an early stage. The eye disorder typically occurs in middle and old age and is caused by loss of elasticity of the lens of the eye. 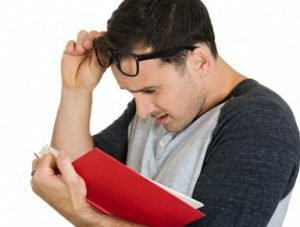 According to doctors, over 65 per cent of the people suffering from presbyopia, or long-sightedness, in their early 30s in India, were found to be heavy users of electronic gadgets, including tablets and laptops. 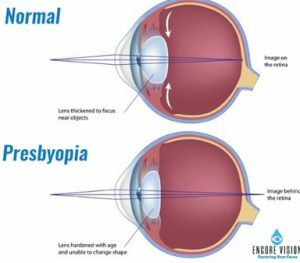 “Presbyopia or loss of accommodating power of the lens, which mostly happened around the age of 40, has started occurring quite early among the people. Excess use of mobile phones causing it early by making the eye lens harder and making it lose elasticity. The result is a gradual worsening of the ability to focus on objects up close,” said Mahipal Sachdev, Chairman of Centre for Sight (CFS). According to World Health Organisation, more than a billion people in the world were presbyopic as of 2005, while the number has doubled in 2015. Presbyopia, an age-related eyesight problem, stems from a gradual thickening and loss of flexibility of the natural lens inside your eye. The problem is now occurring at an early stage due to use of mobile phones and other electronic gadgets in excess. These age-related changes occur within the proteins in the lens, making the lens harder and less elastic over time. Age-related changes also take place in the muscle fibres surrounding the lens. With less elasticity, the eye has a harder time focusing up close. Ankit has been a copywriter since 2009 and has the credit of being a certified copywriter, technical writer and instructional writer. He has been writing website copy and blogs since 2010 and is also an SEO specialist. An Engineering graduate with an MBA Marketing postgraduate degree, he has the experience to deliver copy on diversified fields. Ankit Gupta has written 106 articles for Kanigas. Want to write for us ? Feeling Irritated And want to Be Alone? Try These 7 Things To Re-energize Yourself!